We have learned that the eggs were found destroyed and the nest abandoned earlier this summer. An unknown natural predator is suspected. Let’s hope the birds return to try again next year. Thanks to Jason Mauro for keeping tabs on these exciting birds. 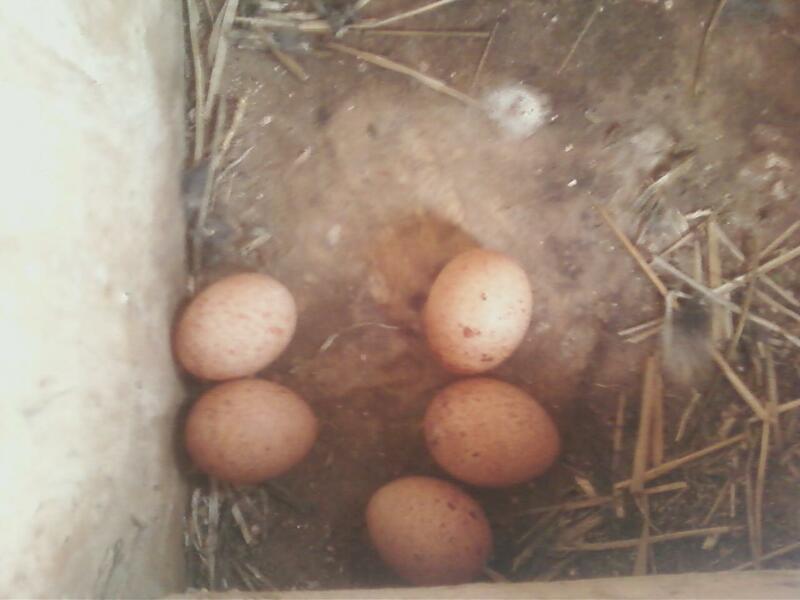 On May 1, 2012, Jason Mauro reported that a pair American Kestrels are nesting in a box he installed in South Onondaga as part of the Kestrel Conservation Project. Here is a smart phone photo he took of the clutch. We will wait with our fingers crossed that this pair of falcons are successful in fledging so many young. Stay tuned. Audubon New York was the recipient of a Toyota Together Green grant for a state wide American Kestrel conservation project in 2010 and 2011. This projects aim was reverse the decline of American Kestrels in New York State by addressing the main threat to their population, lack of suitable nest sites within appropriate habitat. This project engaged hundreds of individuals across New York State in a coordinated effort to build, erect, and monitor nest boxes for American Kestrels; to teach people about the plight of kestrels and other grassland birds; and to spur action by citizens in support of habitat stewardship and government policies that will eventually result in protection of kestrel habitat. Audubon New York, including four Audubon centers from Jamestown to Long Island, and 16 local Audubon chapters (including Onondaga Audubon), from Long Island to Buffalo to the St. Lawrence Valley partnered with the New York State Department of Transportation (NYS DOT) in an effort to restore American Kestrels across New York State. Breeding pairs of kestrels in New York have declined significantly in the past 20 years, partly due to both habitat loss and competition for nest cavities. 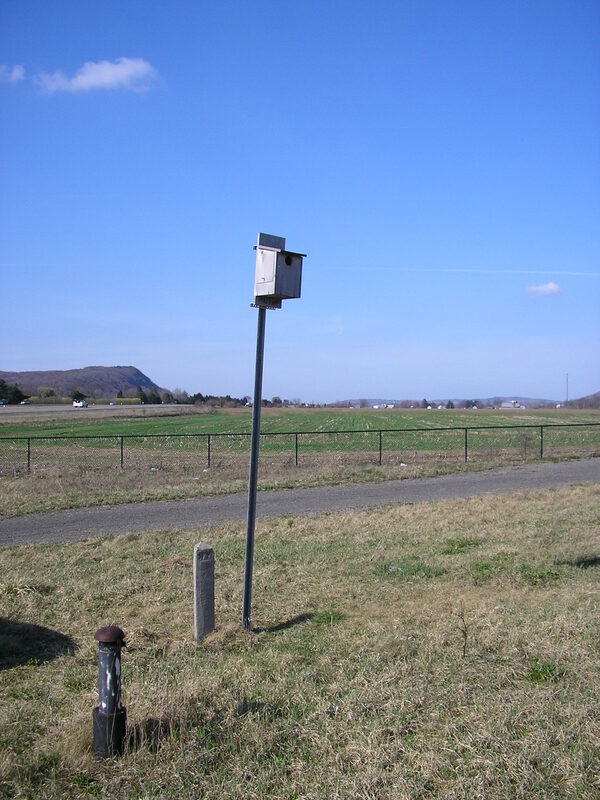 Chapters and centers engaged local individuals and groups to build, erect, and monitor kestrel boxes in suitable habitats in their chapter territories. This included working with NYS DOT to put up and monitor boxes. In addition to the nest box component, this project increased public awareness about kestrels and other grassland bird through educational and outreach programs conducted by chapters and centers. Onondaga Audubon built and monitored 8 nest boxes, gave presentations to school and civic groups as well as created and installed an interpretive panel on the ecology of the American Kestrel on the bluff at Derby Hill Bird Observatory. While this project is no longer funded by the Together Green grant Onondaga Audubon has volunteers monitoring Kestrel nest boxes. 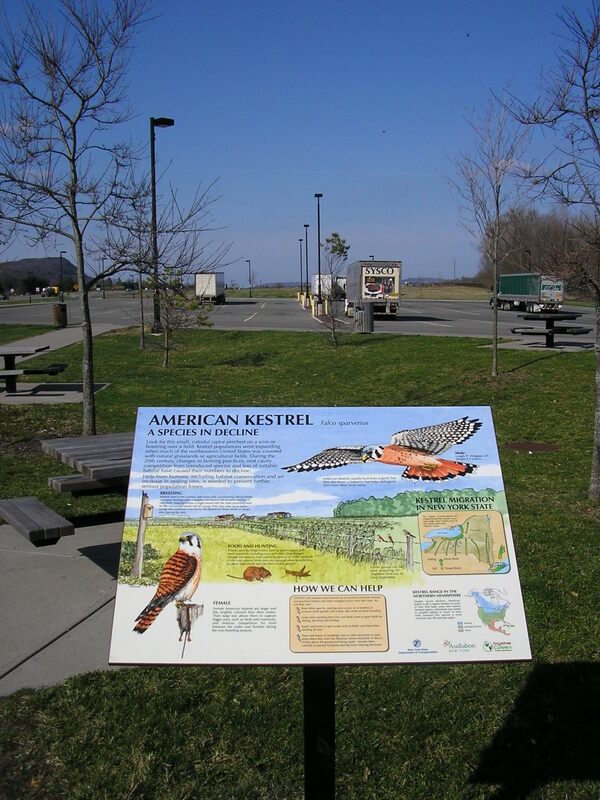 Recently, the NYS DOT installed a Kestrel Ecology interpretive kiosk at the I-81North Preble rest stop, where a kestrel nest box monitored by Niles Brown is also located.